Let&apos;s face it – clutter is an eyesore that all home sellers can live without. However, removing clutter before you list your house may prove to be difficult, particularly for those with limited time and resources at their disposal. 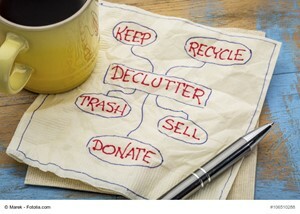 Fortunately, we&apos;re here to help you streamline the decluttering process. That way, you can speed up the process of improving your house&apos;s appearance and get your residence show-ready. Old electronics, broken exercise equipment and other items can take up lots of space in your home. If you take a look at all of your belongings, you can differentiate clutter from items that you&apos;d like to keep. If you haven&apos;t used an item in several years or an item simply takes up space in your house, this item likely is clutter. As such, you should eliminate this item from your premises as soon as possible. On the other hand, items that you use regularly or items that have sentimental value may prove to be keepers. With these items, you should store and maintain them properly to reduce the risk of deterioration. There may be a wide range of clutter scattered throughout your house. Although your first instinct might tell you to throw out excess items, it is important to consider whether these items could be sold or donated. Even though a particular item no longer serves your needs, you may be able to sell this item to the highest bidder. Thus, if you post an item online or host a garage sell, you could earn extra cash by selling your clutter. In addition, many charities will accept items that you no longer need. If you have excess items that are working properly, reach out to local charities, and these organizations may be able to pick them up at your convenience. If you plan to list your home in the next few weeks, consulting with a real estate agent is ideal. This housing market professional can offer expert decluttering recommendations and help you get your house ready for the real estate market. 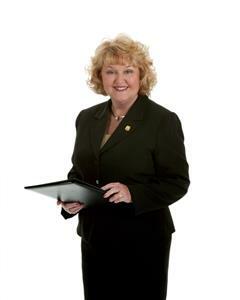 Typically, a real estate agent will meet with you, evaluate your house and learn about your home selling goals. He or she also will explain the home selling process and ensure you know what to expect before you list your residence. In most instances, a real estate agent will set up home showings and open houses, notify you about offers on your house and provide various home selling recommendations and suggestions. Plus, if you ever have questions about decluttering your home or other home selling topics, a real estate agent can provide immediate answers. Simplify the process of decluttering your house – use the aforementioned tips, and you can remove clutter from your residence in no time at all.